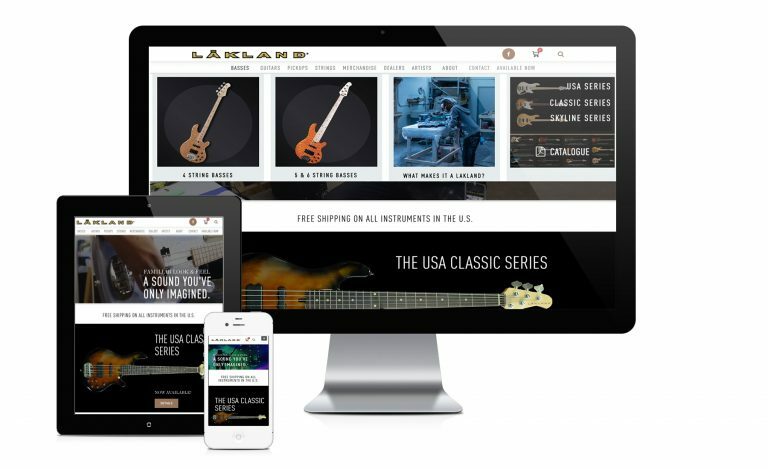 Founded in Chicago in the mid-1990s, Lakland Basses has quickly grown to be one of the legendary music manufacturing companies in the US by making exceptional instruments with a reputation for getting the details right. Unfortunately, that wasn’t true of their website, which was looking more dated every month and was not very functional. Origin took on the project of creating a state-of-the-art e-commerce site, putting the beautiful basses and guitars front and center, showing visitors how they sound, how they look, and who plays them, along with a store that made selecting among the many options fast and easy. The response from players and distributors has been overwhelmingly positive and on-site sales are starting to take off.